One-bedroom flats in the most popular areas of the Capital were snapped up on average within two weeks of going on the market last year, according to a new report. An ESPC survey found the average selling price for a home in the city increased by almost six per cent during 2018, rising to £262,897 from £248,215 in the previous 12 months. One bedroom flats in the Capital are in demand. A significant increase in the number of properties for sale towards the end of the year was also reported, with around 24 per cent more homes on the market between October and December – the strongest fourth quarter since before the financial crash. And sellers in areas including Leith Walk, Easter Road, Pilrig and Bonnington, as well as those in Abbeyhill and Meadowbank, had to wait just 14 days on average for their one-bedroom apartments to be sold. However, that followed a sluggish start to the year, when the number of listed homes dropped by more than ten per cent. Experts said the market was being driven by a lack of available properties, particularly in popular areas, with fierce competition among buyers to secure purchases. 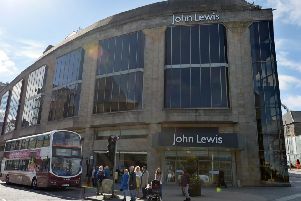 Two-bedroom flats in Stockbridge, Comely Bank, Fettes and Canonmills saw the biggest year-on-year increase in average selling price, rising by 12.5 per cent to £295,167. Meanwhile, the average selling price of three-bedroom houses in Blackhall, Davidson’s Mains, Silverknowes, Cramond, Cammo and Barnton rose by 12.1 per cent to £393,355. Paul Hilton, chief executive of ESPC, warned it was a testing market for first-time buyers, but admitted the end-of-year increase of properties on the market should be seen as a positive. He added: “It appears first-time buyers are facing high levels of competition due to strong demand for homes in the city, coupled with a shortage of supply. Across east central Scotland, the average property price rose to £241,827 from £230,483 – a 4.9 per cent increase. Susan Rae, housing spokeswoman for Edinburgh’s Greens, criticised the latest figures, describing them as a “red herring”. She said: “Make no mistake, a six per cent rise in Edinburgh house prices is terrible news for the Capital – bad for buyers, bad for renters, bad for the city economy and bad for traffic congestion and long-term commuting.